​Every year we have an office sweepstake for the Cheltenham horse racing festival. Like most sweepstakes, this one attempts to remove the skill, allowing everyone to take part without necessarily needing to know much about horse racing. This allows anyone to enter and have an equal chance of winning (the chance is equal prior to drawing, but not equal once the draw has been made), otherwise everyone would just want Spain or Germany, or whichever team is currently considered the favourite. Note that in order for this to work properly, you need to ensure that the team draw is not carried out until everyone who wants to play has put their money in – otherwise you introduce some optionality and people can then decide whether to enter based on the teams that are still left. i.e. if you know that Germany and Spain have already been picked then there is less value in entering the competition. The festival comprises 7 races a day for 4 days, for a total of 28 races. A running total is kept throughout the competition, and the winner is determined after the final race. The odds the scoring are based on are set using the odds printed in the Metro Newspaper on the morning of the races. Any set of betting odds can be converted to an implied probability of winning, these would be the odds which over the long run would cause you to breakeven if the race were repeated multiple times with each horse winning a proportion equal to its probability of winning. We see that the payout varies for each horse, but the EV is the same. This is by design, the intention is that it should not matter which horse you bet on, the sweepstake rules equalise everyone. So what can we - an actuary who knows nothing much about horse racing - do? I don’t have any special knowledge that would allow me to select a horse which would beat the odds listed in the Metro, we appear to be at an impasse. I could attempt to build a model of which horse will win, and then select my horse based on that, but unless it proves to be more accurate than the Metro odds, I might as well just pick at random. Furthermore, if I could build such a model, then I could just start betting actual money. This probably shows you what a difficult problem this is! There's no such thing as free money. It would be a cool project to try, and it’s something I’ve been meaning to attempt for a while, but that’s best saved for another day. My first thought was that we can exploit the difference in odds between those published in the Metro in the morning, and the latest odds published closer to the start of the race. It seems reasonable to assume that the odds just before the race should be more accurate than the metro odds. There will have been time for additional information to be included in the more up to date odds, e.g. the weather is worse than expected therefore horse x is expected to be slower than usual. Since the payout will be based on the Metro, we will then be able to maximise our EV by exploiting this differential. We see that we have very small variations in the EVs for some of the horses. It looks like according to this analysis Horse 3 would be the best selection as it has the highest EVs for 1st, 2nd, and 3rd. Based on this strategy, we would then go through each race and select the horse with the highest EV. Is this what I did? No, for a couple of reasons. The biggest issue was that the Metro did not publish odds in the morning for all races, meaning we couldn’t use the Metro, and therefore the rules of the sweepstake were amended to use the official pre-race odds to calculate the payout instead. This meant there was only one set of odds used, and our edge disappeared! Even if we had used this method, there was a more fundamental issue - the margins we ended up with were tiny anyway. The Metro vs pre-race odds did not swing wildly, meaning that even selecting the horse with the highest EV were only marginally better than picking at random. So, was there an alternative? My next attempt at an exploitative strategy was based on the insight that the payout multiplier for 2nd and 3rd place was based on the odds of the horse coming 1st, rather than the odds of the horse coming 2nd or 3rd. Above, we were using the implied probability of the horse coming first as a proxy for the probability it would come second and third. This is not the same, and some betting websites do allow you to bet on whether a horse will come 2nd or 3rd. For websites that do not allow you to bet directly on this, then we may still be able to calculate it from the odds for whether a horse finishes in the top 2 or 3 places. We just need to subtract out the implied probability of coming 1st from the probability of coming in the top 2, and then subtracting this out from coming top 3 etc. ​I therefore added some more columns to my table above, corresponding to the probability of the horses coming 2nd and 3rd, and then used this to calculate the EV instead. We see that the final column, Total EV, now has quite different values for each horse. In this case Horse 15, Seddon has an EV of 11.72. The favourite horse on the other hand - number 7 - only has an EV of 6.2. The intuitive explanation of this is that the probability of Seddon coming first is very low – this is the reflected in the long odds of 67, this then gives us a large multiplier, but the odds of the horse coming second or third are actually relatively less far out – the fact that it is not the favourite actually increases the odds of it coming in a position which is not 1st. 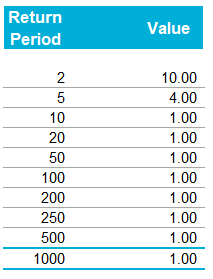 But then if does come in 2nd or 3rd, we would still apply the same large multiplier for the odds of it coming 1st. This then gives us our 2nd edge – we can gain a positive EV by focusing. As a thought experiment, imagine we have a race with three horses – horse A is a clear favourite, horse B is an average horse, and horse C is clearly the weakest. By betting on horse C – the odds of it winning should be very low, so the multiple should be very high, but then this multiple will be applied even if it comes 2nd or 3rd, which is exactly where it is expected to finish. This therefore suggests our next potential strategy – select horses which maximise our EV using the implied probabilities of the horses coming 2nd, 3rd etc. So there is roughly a 50% chance we will get 0 points! 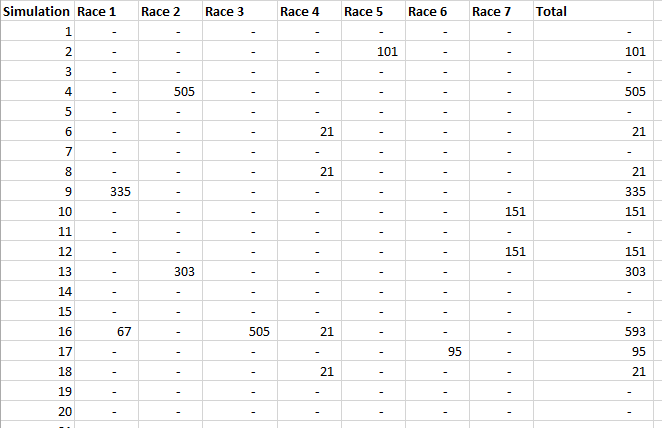 Alternatively, if we selected the favourite every time, we could expect it to come top 3 almost every time, and thereby guarantee ourselves points most races, but it also has the lowest EV. So we have what appears to be a risk vs reward trade off. Pick outsiders and give ourselves the highest EV overall, or pick the favourites thereby reducing our overall EV but also reducing our volatility. This leads us neatly to attempt 3 - trying to think about how to maximise our probability of winning the competition rather than simply maximising EV for each race. From the work above, we now have our model of the position each horse will finish in each race – using the 1st, 2nd, and 3rd implied probabilities - and we have the payout for each horse – using the odds of the horse coming 1st. We can then bring our selection of horse and these probabilities together in a summary tab and simulate our daily score stochastically using a Monte Carlo method. To do this we just need to turn the implied probabilities into a CDF, and lookup the value of each position and repeat 10,000 times. The output for this then ends up looking like the following, where the value is the number of points we will for a given race. So we see that across this sample of 20 simulations, most days we to end up with 0 points overall, but a few days have very high scores. So far so good! The EP table gives us the probability of exceeding various scores in the competition based on our horse selections. In this case, we see that there is a 1 in 20 chance of getting 453 points or greater in the day. Which will largely be dominated by P(1st), given the $0.7$ factor. This is largely the strategy I went for in the end. Attempt 4 - Game theory? I’ve brushed over one difficulty above; in order to maximise our prize EV we need to consider not just which strategy we should take, but how this strategy will fare against the strategies that other people will take. If everyone is maximising their 1 in 20 return period then there’s little point us doing exactly the same. Luckily for me, most people were doing little more than picking horses randomly. We could then formalise this assumption, and come up with a numerical solution to the problem above. To do this, we would simulate our returns for each day across 10,000 simulations as above, but this time we would compare ourselves against a ‘base strategy’ of random selection of horses and we would simulate this base strategy for the approximately 40 people who entered. So we see that if we select these horses, we end up having somewhere between a 1 in 10 and a 1 in 5 chance of winning the competition. Now that we have all of this set up, we can then optimise our horse selection to target a particular return period. Attempt 5 - Multiple day? There is a further refinement we can make to the above. We have so far only really been focusing on maximising our chance of winning by using a fixed strategy throughout the competition. But there is no reason we have to do this. After the first day, we should really be including the current scores of each competitor as part of our calculation of our ranking. i.e. if person 1 had a great day and now has 200 points but we had a bad day and still have 0 points, by accounting for this, the model should automatically increase our volatility i.e. start picking horses with longer odds so as to increase the chance of us catching up. If on the other hand, we had a really good first day and are now in the lead, the model should then automatically reduce our volatility and start selecting the favourites more often to help safely maintain our lead. How did it work in practice? I ended up placing 2nd, and taking 20% of the prize pot which was great! I was behind for most of the competition but then pulled back on the last day when a 66/1 came in 1st place, and I picked up 330 points off a single race. This may look miraculous, but is exactly how the model is supposed to work. Does that have any applicability to gambling generally? Unfortunately not, basically all of the work above is based on exploiting the specific scoring system of the sweepstake. There's no real way of apply this to gambling generally. Suppose the ILW pays $1$ @ $100$% reinstatements, and that it costs $12.5$​% on line. Then if the layer suffers a loss, the insured will have a net position on the contract of $75$%. This is the $100$% limit which they receive due to the loss, minus the original $12.5$% Premium, minus an additional $12.5$% reinstatement Premium. The reinsurer will now need another $6$ years at $12.5$% RoL $(0.0125 * 6 = 0.75)$ to recover the limit and be at break-even. So the loss year plus the six clean years, tells us that if a loss occurs once every 7 years, then the contract is at break-even for this level of RoL. So this is kind of cool - any time we have a RoL for a retro layer, we can immediately convert it to a Return Period for a loss which would trigger the layer. The formula we derived above was originally intended to apply to ILWs, but it also holds any time we think the loss to the layer, if it occurs, will be a total loss. This might be the case for a cat layer, or a clash layers (layers which have an attachment above the underwriting limit for a single risk), or any layer with a relatively high attachment point compared to the underwriting limit. There are a few of adjustments we might need to make to these formulas before using them in practice. 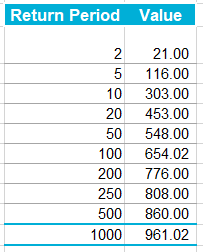 Firstly, the RoL above has no allowance for profit or expense loading, we can account for this by converting the market RoL to a technical RoL, this is done by simply dividing the RoL by $120-130$% (or any other appropriate profit/expense loading). This has the effect of increasing the number of years before the loss is expected to occur. Another refinement we might wish to make would be to weaken the total loss assumption. We would then need to reduce the RoL by an appropriate amount to account for the possibility of partial losses. It’s going to be quite hard to say how much this should be adjusted for – the lower the layer the more it would need to be. It would be nice if we could amend our method to compensate for this drop. As a quick fix, we can simply run the model a few times and fudge the Covariance input until we get the desired Correlation value. If the model runs quickly, this is quite easy to do, but as soon as the model starts to get bigger and slower, it quickly becomes impractical to run it three of four times just to get the output Correlation we desire. We can do better than this. The insight we rely on is that for a Gaussian Copula, the Pearson Correlation in the generated sample just depends on the Covariance Value. We can therefore create a precomputed table of Input and Output values, and use this to select the correct input value for the desired output. I wrote some R code to do just that, we compute a table of Pearson's Correlations obtained for various Input Covariance values when using the Gaussian Copula. 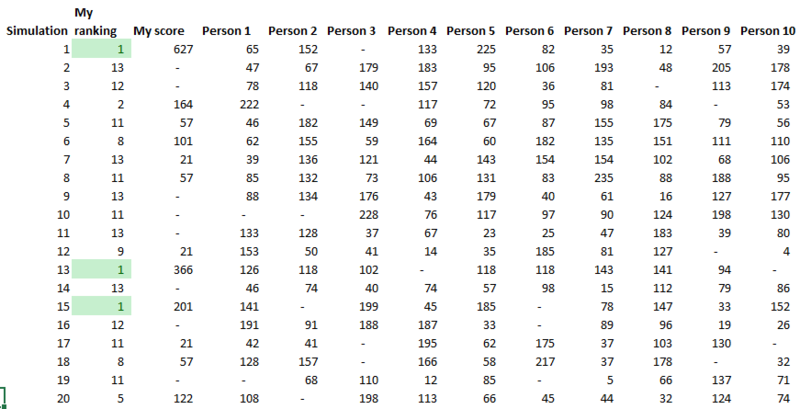 Here is a sample from the table of results. You can see that the drop is relatively modest, but it does apply consistent across the whole table. I tried to find an analytic formula for the Product Moment values obtained in this manner, but I couldn't find anything online, and I also wasn't able to derive one myself. If we could find one, then instead of using the precompued table, we would be able to simply calculate the correct value. While searching, I did come across a number of interesting analytic formulas linking the values of Kendall's Tau, Spearman's Rank, and the input Covariance..
We can then use these formulas to extend our method above further to calculate an input Covariance to give any desired Kendall Tau, or Spearman's Rank. I initially thought that they would link the Pearson Product Moment value with Kendall or Spearman's measure, in which case we would still have to use the precomputed table. After testing it I realised that it is actually linking the Covariance to Kendall and Spearman's measures. Thinking about it, Kendall's Tau, and Spearman's Rank are both invariant to the reverse Guassian transformation when moving from $z$ to $u$ in the algorithm. Therefore the problem of deriving an analytic formula for them is much simpler as one only has to link their values for a multivariate Guassian Distribution. Pearson's however does change, therefore it is a completely different problem and may not even have a closed form solution. Which we see gives us the value of $\tau$ we want. In this case the difference between the input Covariance $0.587785$, and the value of Kendall's Tau $0.4$ is actually quite significant. It's the second week of your new job Capital Modelling job. After days spent sorting IT issues, getting lost coming back from the toilets, and perfecting your new commute to work (probability of getting a seat + probability of delay * average journey temperature.) your boss has finally given you your first real project to work on. You've been asked to carry out an annual update of the Underwriting Risk Capital Charge for a minor part of the company's Motor book. Not the grandest of analysis you'll admit, this particular class only makes up about 0.2% of the company's Gross Written Premium, and the Actuaries who reserve the company's bigger classes would probably consider the number of decimal places used in the annual report more material than your entire analysis. But you know in your heart of hearts that this is just another stepping stone on your inevitable meteoric rise to Chief Actuary in the Merger and Acquisition department, where one day you will pass judgement on billion dollar deals in-between expensive lunches with CFOs, and drinks with journalists on glamorous rooftop bars. The company uses in-house reserving software, but since you're not that familiar with it, and because you want to make a good impression, you decide to carry out extensive checking of the results in Excel. You fire up the Capital Modelling Software (which may or may not have a name that means a house made out of ice), put in your headphones and grind it out. Hours later you emerge triumphant, and you've really nailed it, your choice of correlation (0.4), and correlation method (Gaussian Copula) is perfect. As planned you run extracts of all the outputs, and go about checking them in Excel. But what's this? You set the correlation to be 0.4 in the software, but when you check the correlation yourself in Excel, it's only coming out at 0.384?! What's going on? The above is basically what happened to me (minus most of the actual details. 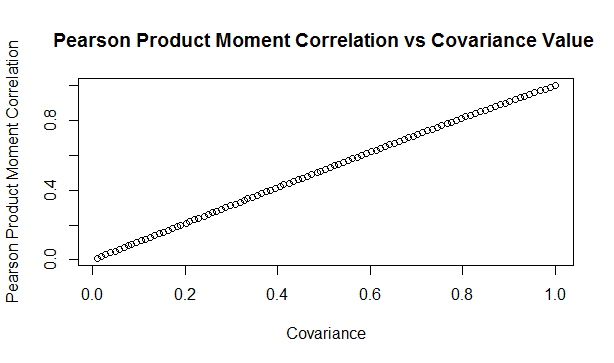 but I did set up some modelling with correlated random variables and then checked it myself in Excel and was surprised to find that the actual correlation in the generated output was always lower than the input.) I looked online but couldn't find anything explaining this phenomenon, so I did some investigating myself. So just to restate the problem, when using Monte Carlo simulation, and generating correlated random variables using the Copula method. When we actually check the correlation of the generated sample, it always has a lower correlation than the correlation we specified when setting up the modelling. My first thought for why this was happening was that were we not running enough simulations and that the correlations would eventually converge if we just jacked up the number of simulations. This is the kind of behaviour you see when using Monte Carlo simulation and not getting the mean or standard deviation expected from the sample. If you just churn through more simulations, your output will eventually converge. When creating Copulas using the Gaussian Method, this is not the case though, and we can test this. 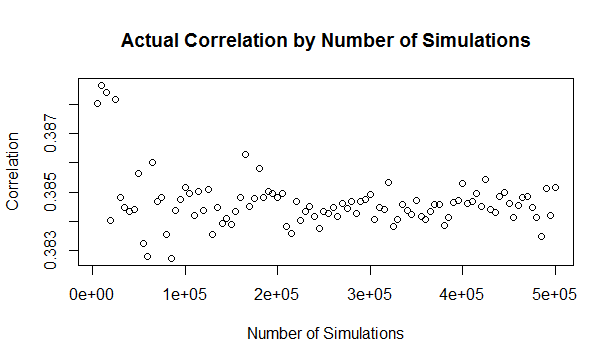 I generated the graph below in R to show the actual correlation we get when generating correlated random variables using the Copula method for a range of different numbers of simulations. There does seem to be some sort of loose limiting behaviour, as the number of simulations increases, but the limit appears to be around 0.384 rather than 0.4. First, we need to briefly review the algorithm for generating random variables with a given correlation using the normal copula. 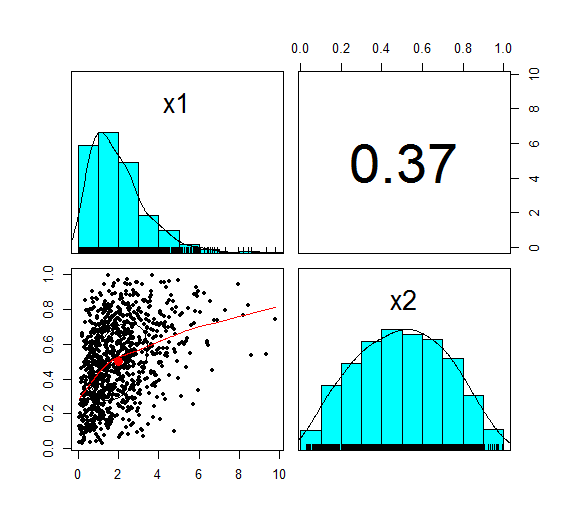 Step 1 - Simulate from a multivariate normal distribution with the given covariance matrix. We can work through these three steps ourselves, and check at each step what the correlation is. Note that this is less than 0.4 as well, but we will discuss this further later on. u is now marginally uniform (hence the name). We can see this by looking at the Scatterplot and marginal pdfs above. We also see that the correlation has dropped to 0.379, down from 0.4 at step 1. 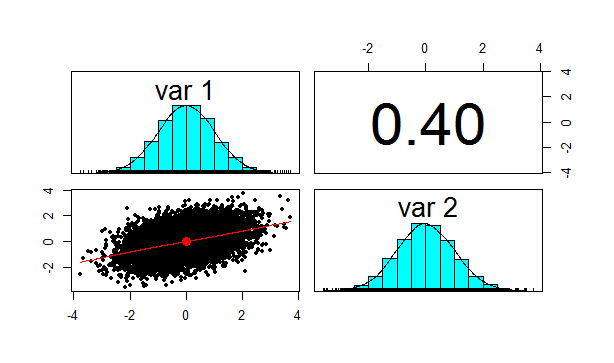 The Pearson correlation measures the linear correlation between two random variables. We generated normal random variables, which had the required correlation, but then we applied a non-linear (inverse Gaussian) transformation. This non-linear step is the source of the dropped correlation in our algorithm. Interestingly, these values have not changed from above! i.e. we have preserved these measures of correlation between step 1 and step 2. It's only the Pearson correlation measure (which is a measure of linear correlation) which has not been preserved. The summary for step 3 looks like the following. This is the end goal of our method. We see that our two marginal distributions have the required distribution, and we have a correlation between them of 0.37. Let's recheck our three measures of correlation. So the Pearson has reduced again at this step, but the Spearman and Kendall's Tau are once again the same. This does matter, let's suppose you are carrying out capital modelling and using this method to correlate your risk sources. Then you would be underestimating the correlation between random variables, and therefore potentially underestimating the risk you are modelling. Is this just because we are using a Gaussian Copula? No, this is the case for all Copulas. Is there anything you can do about it? Yes, one solution is to just increase the input correlation by a small amount, until we get the output we want. A more elegant solution would be to build this scaling into the method. 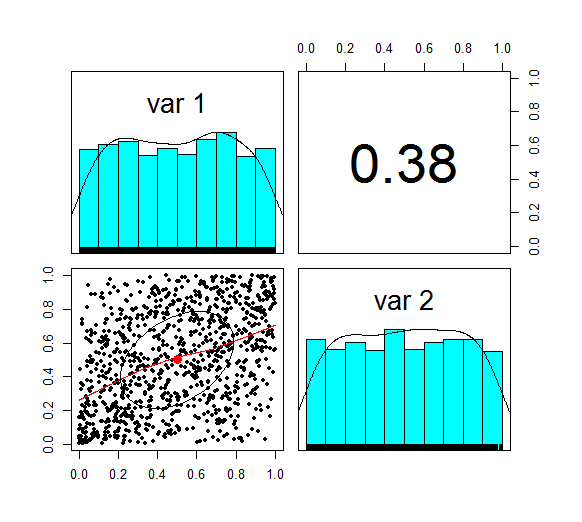 The amount of correlation lost at the second step is dependent just on the input value selected, so we could pre-compute a table of input and output correlations, and then based on the desired output, we would be able to look up the exact input value to use. 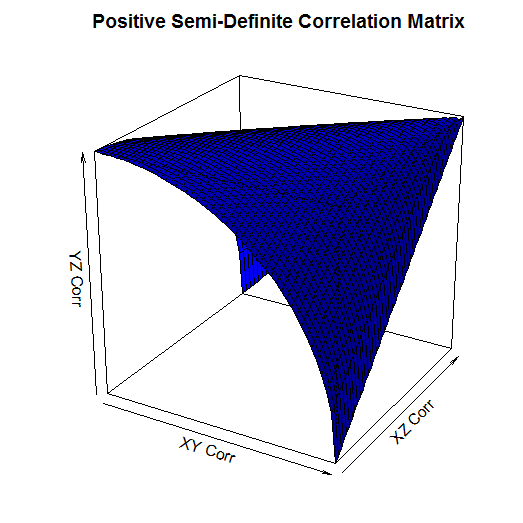 If you have played around with Correlating Random Variables using a Correlation Matrix in [insert your favourite financial modelling software] then you may have noticed the requirement that the Correlation Matrix be positive semi-definite. But what exactly does this mean? And how would we check this ourselves in VBA or R? Let's start with the Mathematical definition. To be honest, it didn't really help me much in understanding what's going on, but it's still useful to know. A symmetric $n$ x $n$ matrix $M$ is said to be positive semidefinite if the scalar $z^T M z $ is positive for every non-zero column vector $z$ of $n$ real numbers. If I am remembering my first year Linear Algebra course correctly, then Matrices can be thought of as transformations on Vector Spaces. Here the Vector Space would be a collection of Random Variables. I'm sure there's some clever way in which this gives us some kind of non-degenerate behaviour. After a bit of research online I couldn't really find much. The intuitive explanation is much easier to understand. The requirement comes down to the need for internal consistency between the correlations of the Random Variables. For example, suppose we have three Random Variables, A, B, C.
Let's suppose that A and B are highly correlated, that is to say, when A is a high value, B is also likely to be a high value. Let's also suppose that A and C are highly correlated, so that if A is a high value, then C is also likely to be a high value. We have now implicitly defined a constraint on the correlation between B and C. If A is high both B and C are also high, so it can't be the case that B and C are negatively correlated, i.e. that when B is high, C is low. Therefore some correlation matrices will give relations which are impossible to model. You can find a number of necessary and sufficient conditions for a matrix to be positive definite, I've included some of them below. I used number 2 in the VBA code for a real model I set up to check for positive definiteness. 1. All Eigenvalues are positive. If you have studied some Linear Algebra, then you may not be surprised to learn that there is a characterization using Eigenvalues. It seems like just about anything to do with Matrices can be restated in terms of Eigenvalues. I'm not really sure how to interpret this condition though in an intuitive way. This is the method I used to code the VBA algorithm below. The principal minors are just another name for the determinant of the upper-left $k$ by $k$ sub-matrix. Since VBA has a built in method for returning the determinant of a matrix this was quite an easy method to code. I don't really understand this one properly, however I remember reading that Cholesky decomposition is used in the Copula Method when sampling Random Variables, therefore I suspect that this characterisation may be important! 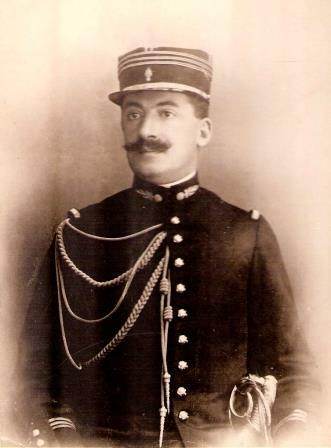 Since I couldn't really write much about Cholesky decomposition here is a picture of Cholesky instead, looking quite dapper. Since we are dealing with Correlation Matrices, rather than arbitrary Matrices, we can actually show a-priori that all 2 x 2 Matrices are positive semi-definite. Let M be a $2$ x $2$ correlation matrix. ​Which gives us the required result. This result is consistent with our intuitive explanation above, we need our Correlation Matrix to be positive semidefinite so that the correlations between any three random variables are internally consistent. Obviously, if we only have two random variables, then this is trivially true, so we can define any correlation between two random variables that we like. The 3x3 case, is simple enough that we can derive explicit conditions. We do this using the second characterisation, that all principal minors must be greater than or equal to 0. Therefore the determinant of the $2$ x $2$ principal sub-matrix is always positive. I created a 3d plot in R of this condition over the range [0,1]. It's a little hard to see, but the way to read this graph is that the YZ Correlation can take any value below the surface. So for example, when the XY Corr is 1, and the XZ Corr is 0, the YZ Corr has to be 0. 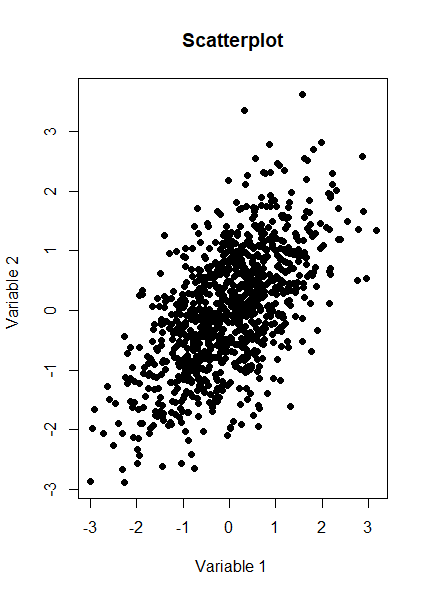 When the XY Corr is 0 on the other hand, and XZ Corr is also 0, then the YZ Corr can be any value between 0 and 1. When I needed to code a check for positive-definiteness in VBA I couldn't find anything online, so I had to write my own code. It makes use of the excel determinant function, and the second characterization mentioned above. Note that we only need to start with the 3x3 sub matrix as we know from above that all 1x1 and all 2x2 determinants are positive. This is not a very efficient algorithm, but it works and it's quite easy to follow. That's right, we needed to code up our own algorithm in VBA, whereas with R we can do the whole thing in one line using a built in function! It goes to show that the choice of language can massively effect how easy a task is. "In the Darwin Centre at London’s Natural History Museum, Billy Harrow, a cephalopod specialist, is conducting a tour whose climax is meant to be the Centre’s prize specimen of a rare Architeuthis dux--better known as the Giant Squid. But Billy’s tour takes an unexpected turn when the squid suddenly and impossibly vanishes into thin air." "She flicked through a pad by her bed, where she made notes of various summonings. A spaceape, all writhing tentacles, to stimulate her audio nerve directly? Too much attitude." Stimulating the audio nerve directly"
I couldn't find any reference online to the inclusion of Burial lyrics in Mieville's novels. Okay I thought, that's a cool a easter egg, but it got my thinking, are there any other song lyrics buried in Mieville's books? And if so, is there any way we can scan them automatically? The first step was to get a database of song lyrics which we can use to scan the novels for, Unfortunately there is no easy place to find a database of song lyrics, so I was forced to scrape them from a lyrics site. After about 10 minutes of setting it up, and about an hour of leaving it to run. I had managed to scrape most of Burial's lyrics in to csv files. I also scraped lyrics by Kode9 and Spaceape so I could see if they were referenced anywhere. It's hard to know which artist I should look for, but both of these have been mentioned by Mieville in interviews. 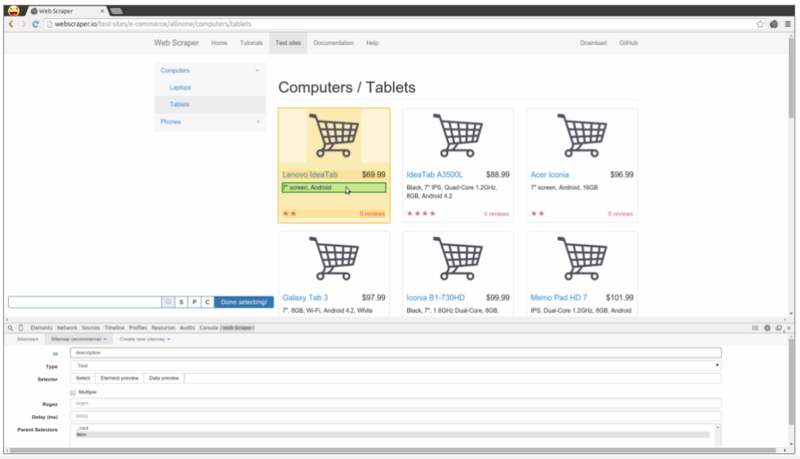 Here is a screenshot of Calibre. It is also very easy to use, and freely available online. This is now the hardest part of the problem. We have electronic copies of China Mieville's novels in .txt format, and we have a collection of lyrics in .txt format which we would like to compare them against, how can we programmatically analyse whether Mieville references other Burial lyrics in one of his books? If we simply attempt to match entire strings, then we have the issue that we might miss out on some references due to small changes in word ordering or punctuation. For example, in the example above using Burial's Spaceape, the wording is slightly different and the tenses of some of the words have been changed, therefore looking for an exact match between lyrics and text will probably not work. If on the other hand we don't match complete strings, but just try to match words, then we will be overwhelmed by small words like 'the' and 'a' which will be used multiple times in both Burial's song lyrics, and in China Mieville's novels. There are two main approaches I came up with.to solve this problem. My first thought was to match individual words, generating a huge list of matches, and then to count the number of uses of each word in Mieville's novels, and then sorting by the words that match but which are also the most uncommon. For example I would imagine that Spaceape is only ever used once in all of Mieville's novels, giving us information about how unusual this word is. Combined with the fact that this word is also used in a Burial lyric, gives us enough information to assume that there is a high probability of a match, at this point we could investigate manually. I ultimately didn't go down this road. 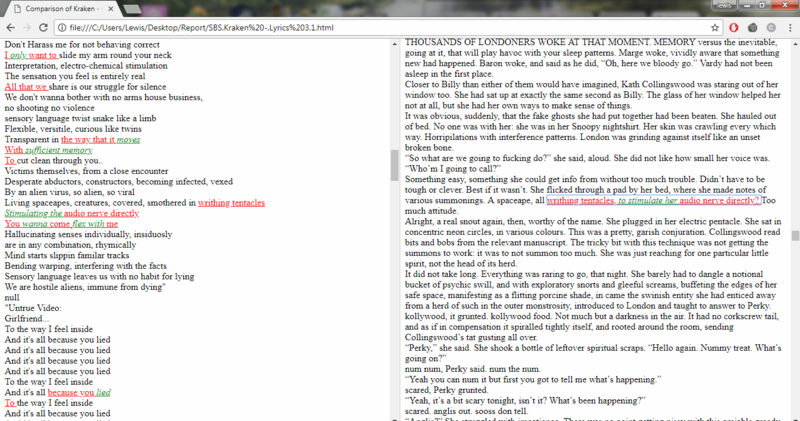 Instead, I had the idea to try to adapt plagiarism detection software to this problem. When you think about it, the two problems are actually quite similar. Plagiarism detection is about trying to automatically check two documents for similar phrases, without relying on complete matches. I found the following free-to-use program created by Lou Bloomfield of the University of Virginia which is perfect for what I was trying to do. It compares two sets of files and then creates a side by side hyperlinked comparison, which can be viewed in chrome, highlighting the parts of the documents where a possible match has been detected. There are various settings you can tweak to specify how close of a match you are interested in. I have included a screenshot below of the section where the Spaceape line is detected. There were about 500 matches detected when I ran this, but it only took about a minute to scroll through and check up on the ones that looked significant. Ultimately, this analysis felt like a bit of a failure. These were the only lyrics I could find in all of his novels and while there is always the chance that I need to expand the number of artists I'm looking at, or refine my detection methods I imagine this is all there is. I still thought the process was quite cool so I thought I'd write up what I had done anyway. If you have any thoughts, let me know by leaving a comment.